Crescentia currently lives in New Jersey with her husband Leighton and two young children, Rose and Elon. She works as the Director of the Blessing and Family Ministry for Family Federation for World Peace and Unification USA headquarters. She enjoys cooking, dancing, singing, spending time in nature, being silly with her kids, and playing board games. She is passionate about improving the quality of people's marriage and family relationships, and helping people connect to God's love and joy. 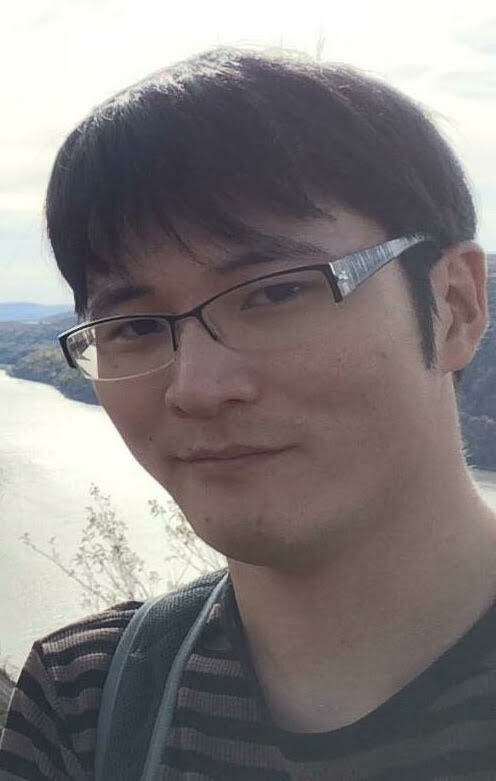 Jin Kwon currently lives in Englewood Cliffs NJ with his wife and are expecting a child. Currently managing several real estate investment properties while also redeveloping properties in NJ and in PA. Enjoys cycling and mountain biking and rock climbing. He enjoys engaging conversations that expand his horizons and is always looking to learn something new. His passion is to provide people opportunities to discover their passion. Joe has lived with his wife and 3 children in Little Falls, New Jersey since 2002. He has worked in young adult ministry for about 15 years and has taught character education programs in the public schools for over 10 years. Joe is driven to work with youth and young adults in hopes of supporting them in creating vibrant, joyful and loving communities. He loves loud & fast music, lunch dates with his wife, messing around with his kids and deep talks about life and saving the world. Tasnah makes her home between Pennsylvania and Kodiak, Alaska with her husband. She is passionate about creating opportunities for people to discover an authentic relationship with themselves, God, and others. She works as the Program Director for Family Fed’s Young Adult Ministry. She is also pursuing a happy love for wedding planning. She loves frisbee and running, and spends her free time writing and crafting. Kester currently lives in Ossining, NY with his wife and two children. He works as a water/wastewater engineer, and does real estate and public speaking on the side. Enjoys hiking, playing guitar, and doing yoga on his lunch breaks. He is the camp director for one week of the Shehaqua summer Family Camp, and is passionate about organizing workshops and giving talks to help people experience the deeper aspects of themselves. Chinam was born and raised in the Hudson Valley, and is now living with his wife, Emiri, in Cortlandt Manor. He is an automation engineer at Motion Labs. Inc, and volunteers at local events. In his free time, he enjoys video games, hiking, and working on various DIY projects. Chinam hopes to serve the community by offering his time and expertise. Barbara lives in Barrytown, NY with her husband Andrew, and their five beautiful children. Since 2009, she has worked as a Chaplain at Vassar Brothers Medical Center in Poughkeepsie, NY. It is a job she is profoundly grateful for, as it has given her so many opportunities to serve and comfort others, while deepen her own walk with God. She is also currently the co-pastor of her local Mid-Hudson Valley Family Church. She enjoys reading, talking to strangers, and doing crafts. She is passionate about God, and loving people.